The sky fell on Barbara Brewster in 1984. She was diagnosed ith a serious illness, multiple sclerosis. The reaction of many to such news is resignation, to lay down and take it. They believe what must be will be – the attitude of a victim. Instead, MS spurred Barbara to self-examination. 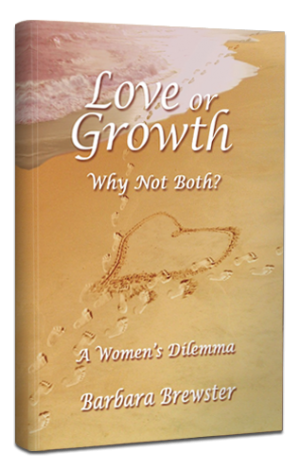 She was shocked to discover that many areas of her life, including her body, were dysfunctional. On one hand she took risks, on the other hand she held herself back. 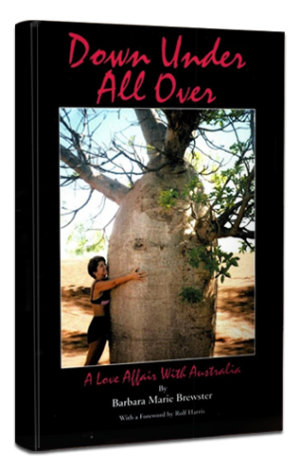 She could immigrate to Australia and hitchhike the world, but avoided honesty in her relationships. She played aggressive sports but feared revealing her emotions. She ran a thriving business but felt trapped by an identity that measured success in money. 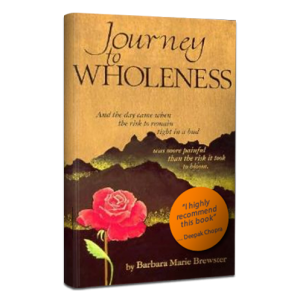 In Journey to Wholeness, Barbara shares how she turned every aspect of her life into an opportunities to exchange constrictive behaviors and beliefs for expansive ones. It is the deeply honest story of her transformation from a woman contorting herself to live by others rules to one accepting the right and the necessity of living according to her own truth. With that comes the burden and the joy of self-discovery. Barbara believes that choice exists, even in crisis. 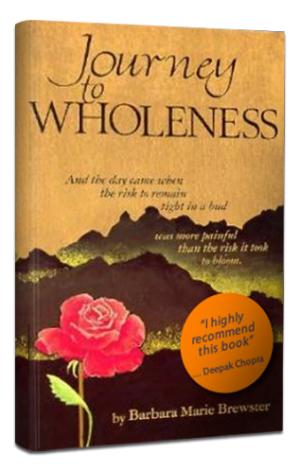 Journey to Wholeness inspires people to make the choices necessary to become survivors instead of victims of their adversity, whether it is their health, a relationship, or a career problem. As Journey to Wholeness eloquently illustrates, true healing is not so much about recovering from disease as it is about recovering from misbeliefs, fears and self-inflicted limitations. NEW! 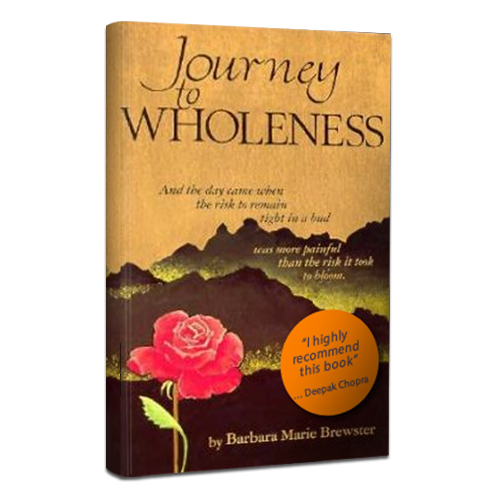 You can now view a ten minute interview with Barbara regarding Journey to Wholeness. 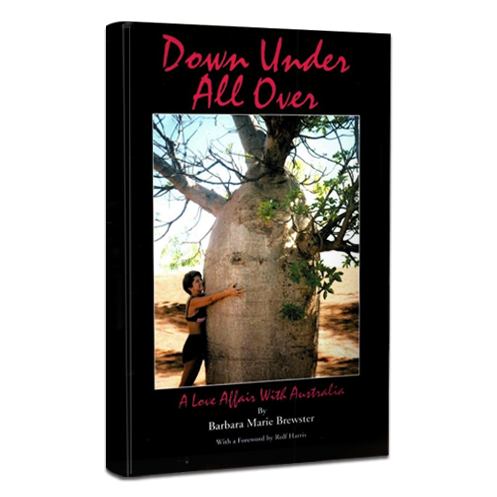 WITH GRACE AND INSIGHT Barbara Brewster shows us how even a life threatening crisis can be an opportunity to restore the memory of wholeness. And, when the memory of wholeness returns, there is healing. I highly recommend this book.